This historic structure was first built in 1823 as a general store on the waterfront and known as the “Wadsworth Store” or in some deeds the “Keeler Store” (Keeler was father-in-law to Wadsworth). 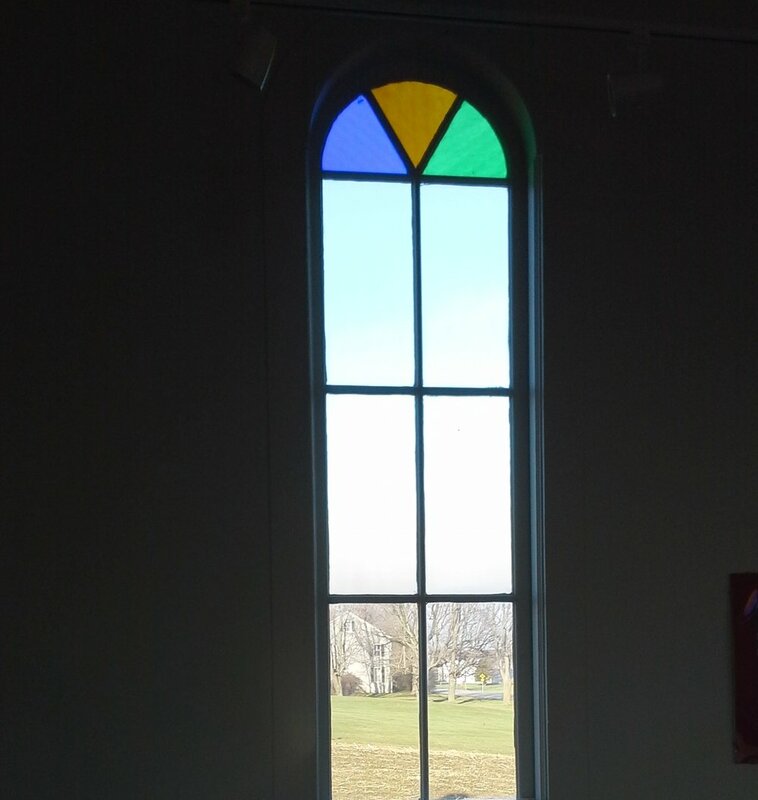 It was located in the center of the village facing the current Methodist Church. The foundation became the “South Annex” of the North Hero House. In 1887 Bishop DeGoesbriand bought and converted the building into a Catholic church. Then in 1949 the church was moved to its present location along Route 2 when land was bought from Charles and Dorothy Tudhope. The Catholic Church consolidated its parish to Grand Isle and closed the doors in 2008. Between 2008 and 2016 the building was used seasonally by both Island Arts and Island Craft Shop. We thank North Hero Public Library for the building history. 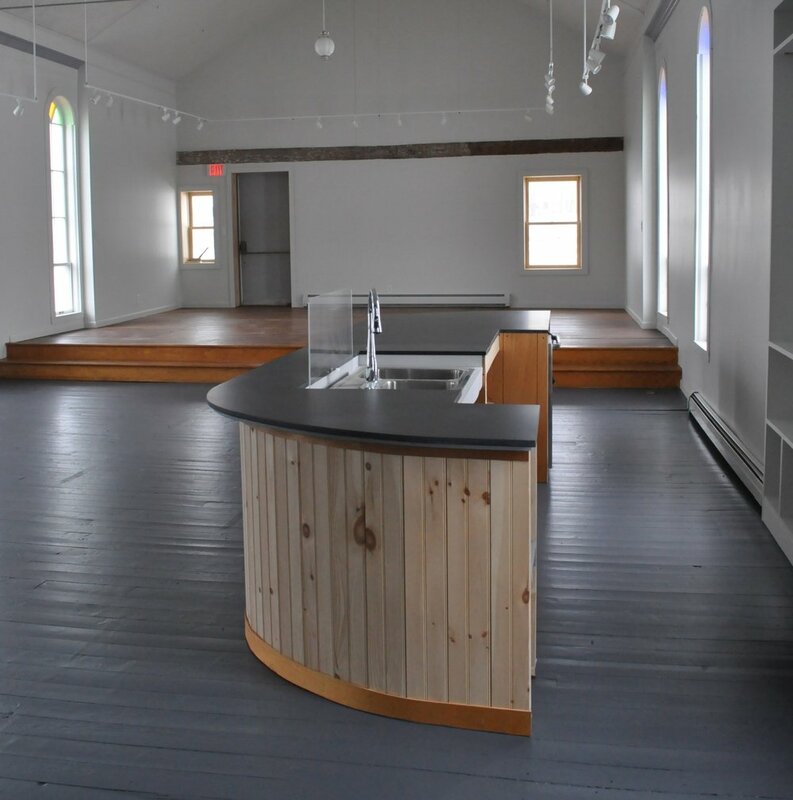 The renovations of this historic structure into GreenTARA Space were done by Rose Construction and the building owner. The design focus was to add insulation and heat to the building for year-round use and to create a community arts and the environment gallery with rental studio spaces for local artists and others. The renovations have earned energy credits from Efficiency Vermont for both the high-efficiency boiler and the lighting. We used natural products such as Valchromat from www.planethardwood.com and Polywhey made by Vermont Natural Coatings to give the space the feel we sought while minimizing environmental impact. We also reincorporated existing building materials and sourced what we needed from the ReSOURCE Building Materials Store in Burlington.